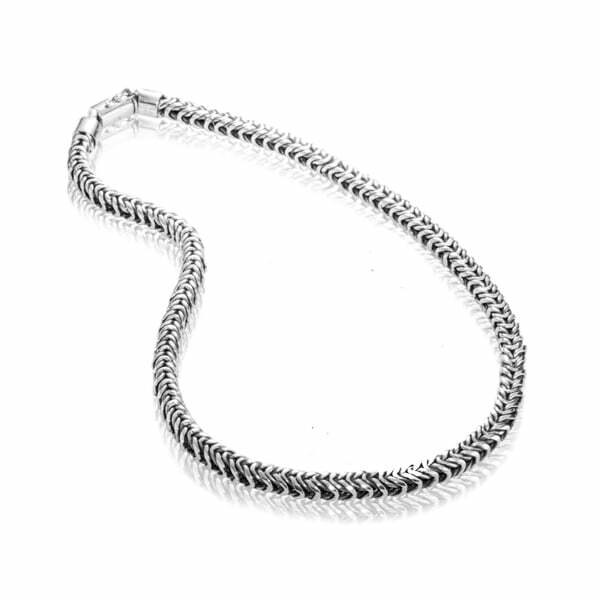 Luxuriant Hand Woven Sterling Silver ChainsSo rich, weighty and luxurious, itshard to believe that our open snake chains are made from precious metal. 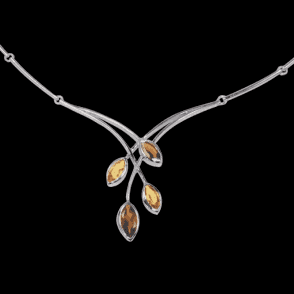 They lie with braided smoothness against your skinand move with a grace and fluidity quite remarkable in handmade jewellery design. 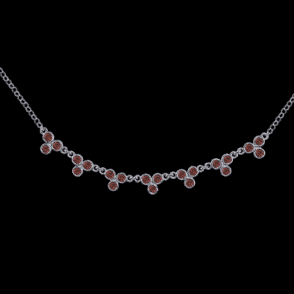 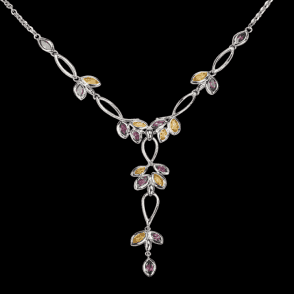 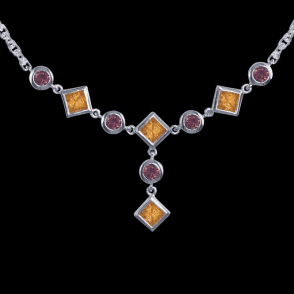 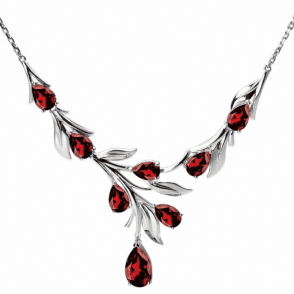 Necklace  18" long, 6mm wide with large sterling silver safety clasp. 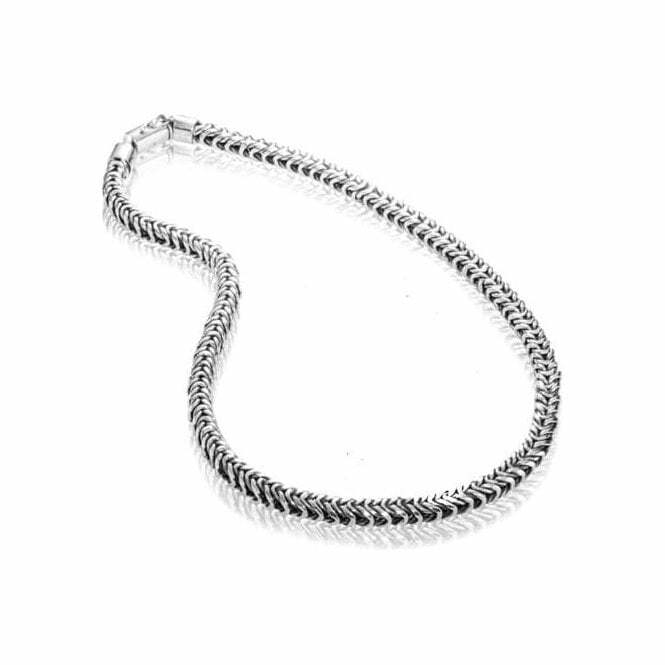 Bracelet  In three individually tailored lengths, band width 6mm. 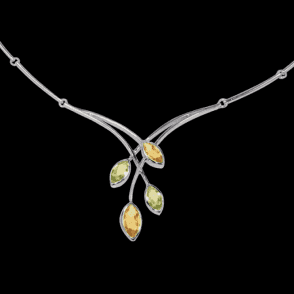 Both with large sterling silver push clasp.